Update: The latest Android P Developer Preview 5 is now available for download. So is the Android P GSI now available for download for all the Project Treble enabled devices. Google has been reportedly testing the Android P Generic System Image for its new Project Treble. Under this project, all the new phones shipping with Android 8.0 Oreo or later must support Treble. Google also releases the AOSP GSI for all Project Treble supported devices from various smartphone manufacturers. 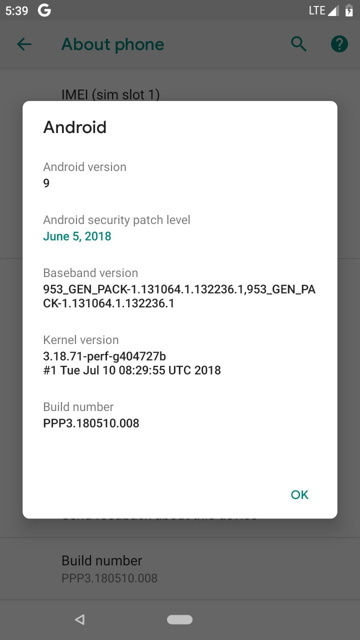 This means, most of the new 2018 Android device can now directly update to the latest Android OS version by installing a Generic AOSP build (or GSI). We already have the AOSP, Lineage OS, and Resurrection Remix GSI available based on 8.1 Oreo. Now, we have the first unofficial build of Android P 9.0 GSI available for all Android devices. You can simply download the Android P GSI and flash it using a custom TWRP recovery or Fastboot mode. Meaning, you can upgrade any phone with Treble support to Android P. As this is the first Android P GSI build, it could be quite unstable for some devices. It is purely experimental build but with a lot of potential. With further support, we expect many bug fixes and support for more phones. So stay tuned and keep visiting for more updates. Moreover, the GSI builds listed below currently only support Qualcomm SOC (Snapdragon processors). So although Galaxy S9 has Treble support, the ROM may crash a lot as the device possess a Exynos possessor. Android P GSI for A/B arm64 – Unofficial Alpha build! This build may be highly unstable. Install Open camera to test camera. Camera2 API is not supported. Fix to use hardware keys and remove navigation bar. Warning: The GSI build is only for experimental purposes only. It has many bugs and broken stuff. Some of the critical features may not be working. You will also need to clean install the complete ROM. Meaning you will lose all your data, apps, etc. We won’t be responsible for a bricked device. How to Install Android P GSI on any Android device? How to flash for A only devices? First, make sure you have a Project Treble enabled Android device. It also requires a Qualcomm Snapdragon device with full treble support and Android 8.1 vendor. Make sure your device has latest TWRP recovery installed. Download all the files from download section above like Vendor Treble ROM (Mokee ROM recommended), Android P GSI system image, POST GSI 1,2,3 zips, and fixes too. Transfer them all to your Android device storage. Reboot into TWRP recovery and take a full Nandroid Backup. Go to TWRP home and choose Wipe option. Wipe all the partitions except internal storage. Including vendor. Reboot to system and set it up. Flash GSI ‘system’ partition only. Flash Post GSI Zip 1 -> Zip 2 -> Zip 3. How to flash for AB Partition device? See the above method for detailed instructions. Download and extract the Android P-DP-5-sGSI-AB zip to device storage. Flash the Android P GSI zip to system. Again, flash POST GSI zips from 1 to 2 in priority. Flash Permissiver zip and FBE_Disabler zip. If your device was encrypted, then from Wipe page choose “format data”. First boot may take 5-10 minutes. So be patient. 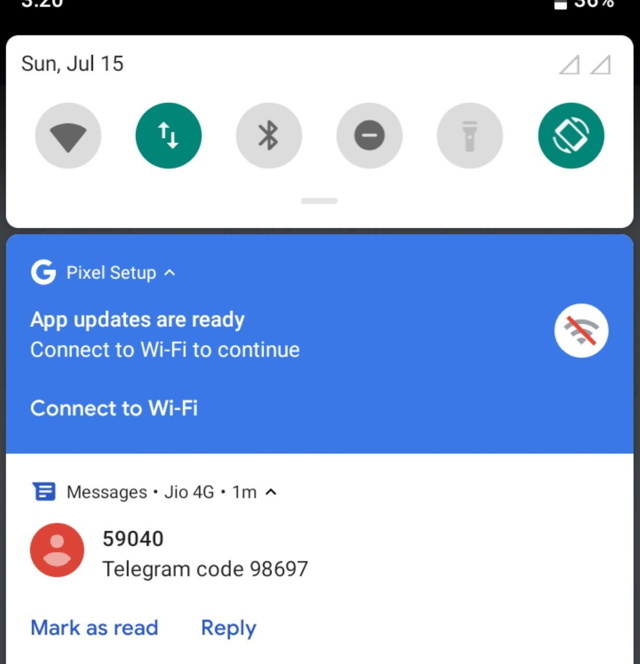 once you get the Google logo, you are all set to run Android P.
Download the fixes in the downloads section and flash the zip using TWRP one by one. Enable developer settings > Scroll down to select Default USB Configuration > Select File Transfer. How to get blue accent like Google Pixel 2? How to fix One Plus 5/T Lag Fix? If you get any Bootloop from Bootanimation to Recovery flash FBE_Disabler zip. Later from Wipe option choose “format data”. Thanks to developer erfanoabdi for these stunning Android P GSI builds. Next Entry How to easily Install any Font on Samsung Galaxy devices? – Download Unlimited Fonts!